Samuel Menashe (1925 - 2011) enlisted in 1943, and was sent to the Infantry School in Fort Benning, Georgia, then to England (Cheshire) for further training. His division fought in France, Belgium (The Battle of the Bulge) and Germany. In 1950 he was awarded a Doctorat d'Université by the Sorbonne. His first book was published, thanks to Kathleen Raine, in London in 1961. 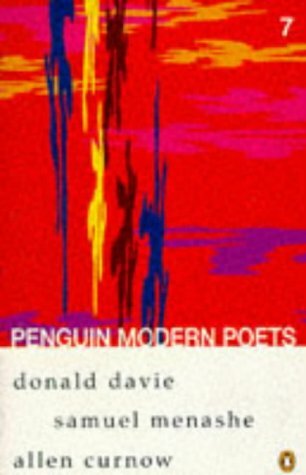 He was the inaugural winner of Poetry magazine's Neglected Masters award, a prize that both pays tribute to his excellence and makes reparation for the years in which his achievements were overlooked. However, he had had powerful admirers during that time, including Donald Davie, Austin Clarke, P N Furbank and Billy Collins. His New and Selected Poems, introduced by Christopher Ricks, was published in 2005 by the Library of America. 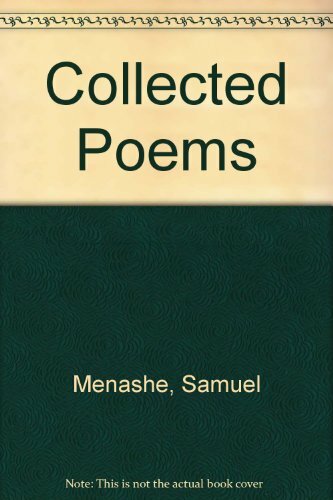 Menashe's poems are intensely condensed, very few being longer than a dozen short lines, and delight in their patterning of sounds. These are not fixed forms, but poems that follow the method Menashe suggests when he introduces 'Cargo' by saying "I never wrote a sonnet, but it seems to me to have the formality of a sonnet", a method well described by Stephen Spender when he claimed that Menashe "compresses thought into language intense and clear as diamonds." There is an attention within these poems that is committed to the themes of religious poetry, alluding often to the Old Testament. This can range from 'The Shrine Whose Shape I Am', to 'Adam Means Earth', which takes the fact of its title to examine the nature of human existence. 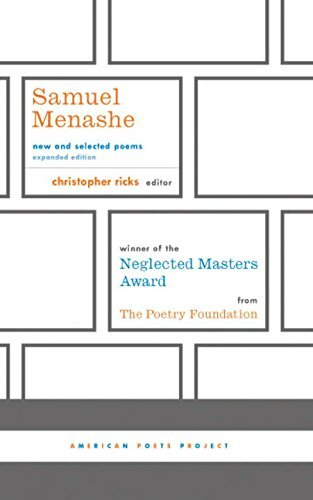 In other poems, subjects range from death, dreams and the sea to more domestic matters, such as the woman noticed in a window across the street who becomes the focus of 'Tenement Spring' - everything in Menashe's poetry becomes valued and significant. 'Tenement Spring' is followed in this recording by a brief story about the writing of the poem; many others carry introductions and postscripts from Menashe, who further humanises the whole performance with a voice that is resonant yet relaxed. Reciting from memory, he makes clear why Alan Brownjohn, in the Sunday Times, found that these poems "have their own distinct, offbeat twang, and stay in the memory." His recording was made in August 2002 at the poet's home in New York City, and was produced by Jeffrey Wertz. "I Did Not Advance, I Cannot Retreat"
A portrait of poet Samuel Menashe, produced by Emily Botein.